So many breathtaking views out here, and so many things to explore that I sometimes just want to stay "out here" forever! 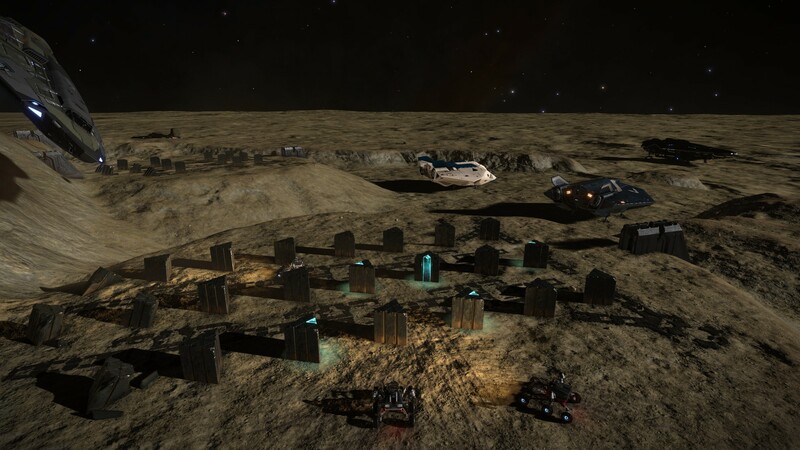 But I have a mission to fulfill and after almost a week of traveling around in my Anaconda, looking for obelisks to scan, I am starting to see the end of it. I now have 98 successful scannings of the total of 101 and are just missing the final 3 to return and cash in the reward from Ram Tah. And this mission has really showed me the fun and great fellowship when gathering up with other commanders to solve the mission together. 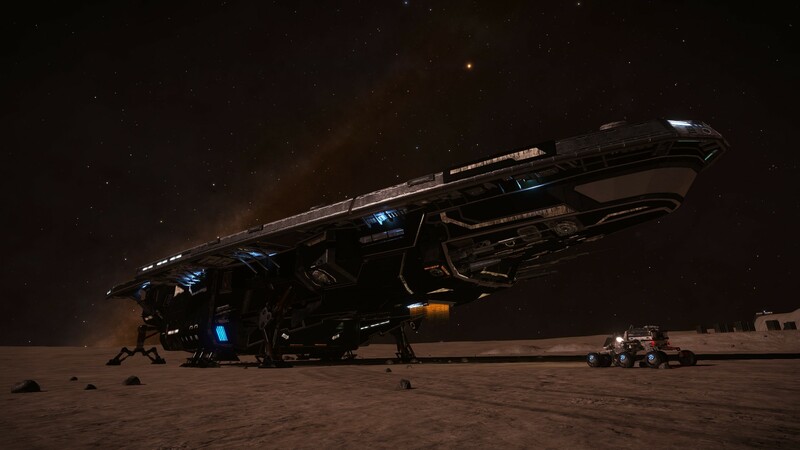 Just in this mission I got to know a lot of new cmdrs that helped me out scanning the hardest ones, and their great support was fantastic! Mission update: MADE IT!! I finally scanned the last obelix at 05.03, 0300am and are now on my way back to Ram Tah to claim my 201 millions! This has been an awesome journey, and I am really looking forward to do more missions like these. UPDATE1: Have now started on my second run for this mission. UPDATE2: Finished my 3rd run. 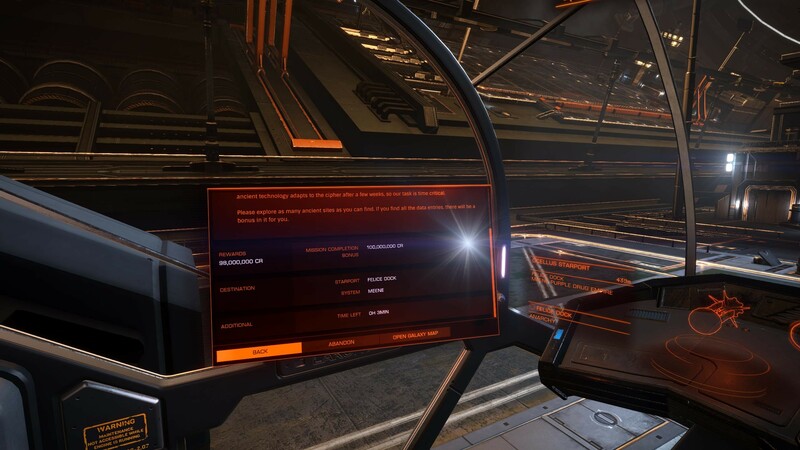 UPDATE3: Finished my 4th run (this mission is certainly not for the money anymore, as I have earned more than enough credits, but this whole mission and gathering up with other cmdrs make me want to go back out and do it again) I was got my Elite Trader promotion after this run! UPDATE 4: Just finished my 5th run and are on my way back to Ram Tah to claim another 201 millions. UPDATE 6: 7th run finished in one day. 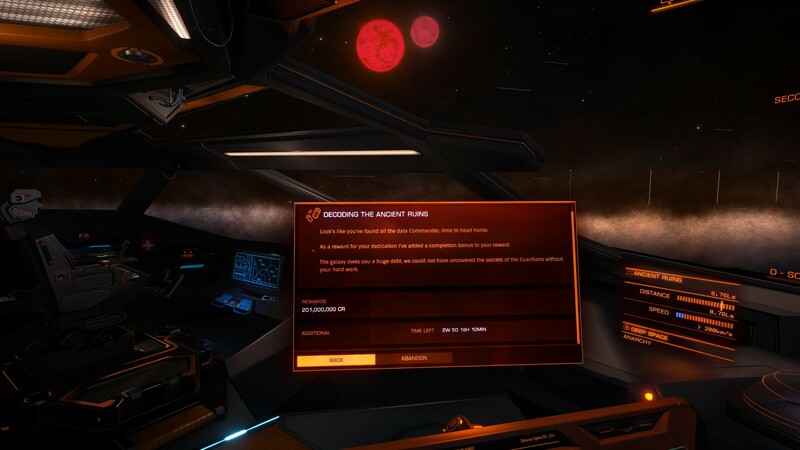 Only 22 hrs left of the 2.2 RamTah mission bleed.